Home » Blog » Can the Lib Dems get off the Torture Rack? Can the Liberal Democrats get off the torture rack they’ve put themselves on before next Thursday’s (9 December) vote on the university tuition fees proposal…? One can only hope so. That this was a potential destroyer was recognised by the architects of May’s Coalition Agreement who gave Lib Dem MPs the right to abstain when this issue came up for the vote. Unfortunately, a number of Lib Dem MPs are threatening to vote against Government policy – including former Lib Dem leaders Charles Kennedy and Sir Menzies Campbell, both of whom still carry considerable influence amongst backbenchers. Understandably perhaps in the past week or so Nick Clegg and Vince Cable have tried to resolve the confusion and bitterness by getting the Lib Dems to block vote on the issue…for the proposal, of course. 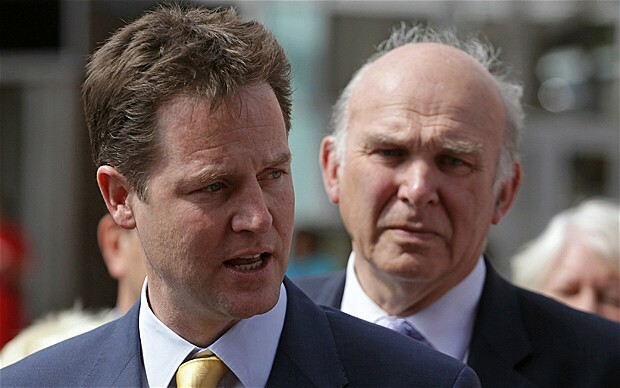 Clegg and Cable are, after all, senior ministers in the Coalition Government. But with the party now as low as something like 14% (Guardian/ICM, 22 November) in the opinion polls – though some pollsters believe that figure is artificially low – and with rioting students calling for Clegg and Cable to dare to meet them in person, it can hardly be surprising that Clegg and Cable are desperate for a show of party unity. Now Cable has broken ranks and has said he will vote for his department’s policy regardless. In face of such a move, Clegg can hardly not support the Government if Cable is. For sure, the Lib Dems have taken one hell of a battering in the past 6 months. Their first taste of peacetime government in 75+ years has come at a severe price. The Tories have used ‘those nice Lib Dems who wouldn’t hurt anybody unwittingly’ to front a series of policies that will (eventually) put around a million people out of work and slash public services to close on 1950s levels – all fronted publicly with an almost maniacal glee by Chancellor George Osborne! David Cameron has been close to explicit in saying that a partnership with the Lib Dems (trusted by most of the electorate as ‘honourable’) was preferable to depending on his own extreme right wing (thought of by many electors as moneyed Fascist dogs). The problem for the Coalition – and for the Lib Dems in particular – is that the economy is recovering just that little bit faster than predicted, lending some credibility to Labour’s claim that the cuts could be slightly less draconian – 20% over a parliament, as against 25% over 2-3 years. It must have seemed a wonderful wheeze back in March for every Lib Dem MP to sign to say they would vote against an increase in tuition fees. For a party that, if the pattern of the past 75 years had held true, would never actually have to live up to its promises…. But the opportunity came… Clegg’s ORANGE ambition rapidly overcame any BLUE/GREEN scruples he might have had… A number of Lib Dem MPs suddenly found themselves to be members of the Government. That Clegg (amateur Blair-like who made one outstanding TV appearance), Cable (from ‘Woman’s Hour’ radio to prime-time ‘Strictly’ in less than a year – what a celeb!) and Treasury number 2 Danny Alexander (last-minute stand-in for ‘hard man’ David Laws) have convincingly passed themselves off as government ministers, with both a real understanding of their brief and a vision for driving change through their departments says one hell of a lot for the quality of the understudies who never ever thought they’d get a chance to actually play the part. But playing the part in some pretty adverse circumstances is what they now find themselves doing. Unfortunately some Lib Dem MPs seem determined to bring down the Coalition on the basis that what was promised in the election is not what is being delivered now. Well, of course, it isn’t!…because the Government is not a Lib Dem Government…it’s a Coalition Government! As David Cameron is only too ready to tell, he’s got far more backbenchers proportionate to Cabinet posts saying he’s sold out on Tory principles and giving him serious grief…! The Coalition Government has reinforced the favourable public identities of Clegg and Cable and made somebodies out of nobodies Alexander and Laws. Many people will now have some idea who Alexander and Laws are and there’s a good chance Clegg and Cable might actually get recognised if they tried to walk down the street. If somebody knows who the hell you are, there’s more chance they’ll vote for you next time! So where does this leave the Lib Dems? Potentially in a very difficult spot that they’re not going to get out of any time soon. They will have explicitly supported a series of policies that will (in the short term at least) widen the rich-poor divide in this country, make untold numbers of ‘middle class’ people less well off, been part of a complete dearth of ideas on how to make this country’s industries competitive again in a global market and appeared to be ‘Tory Toadies’ – doing what their political masters demand…virtually without question! Yet they will have been in Government…and people all over the UK will know the Lib Dems are something more than hairy hippies with beards and sandals and papooses for the earthmothers with young babies. How ever much some of the Lib Dem activists and MPs resent their Coalition with the Tories, the fact of the matter is that next election they will have had ministerial experience and thus can claim they actually do know how to run the country. And, for the next 4.5 years, they will have more opportunity to influence government policy – that influence being way beyond their arithmetical number (5 Cabinet ministers from 57 MPs). In some cases, those ministers will actually determine Government policy. A substantial Lib Dem failure to support Government policy on tuition fees will, at best, undermine the value of the Coalition to many Tories and cause Cameron misery as he will have to fend off his right wing berating him that the Lib Dems can’t be relied upon. At worst, there is an outside possibility the Government could lose the vote…with all the consequences that might entail. Of course, it galls the BLUE vMEME to betray principle and GREEN will be in sorrow for the very real hardships the Coalition policies are going to cause hundreds of thousands of people…but now is the time for YELLOW pragmatism. Most people acknowledge the need to cut Britain’s financial deficit – the main arguments are whether by tax rises, by cuts in the public sector or by both and how severe the measures need to be over how long a time period. Although he can certainly talk tough enough to get the Tory right wing cheering him from time to time, David Cameron appears to be right of centre rather than hard right in most of his politics. His determination to find ways to measure ‘happiness’ – revealed in late November to more than a few jeers from the Tory right – would seem to indicate a genuine concern for people. The Lib Dems, coming from a sort or radical (non-socialist) left, give Cameron balance in the Coalition Government to justify not pursuing the hard right policies a number of Tories would pressurise the prime minister to push through. Cameron, Clegg, Osborne and Alexander have all talked about the population sharing the pain of the cuts equally…and Cable has made it difficult for the Tories to let their rich donors escape the pain entirely by making it very public that he’s going after the big-time tax avoiders. So, when public sector workers are going to be losing their jobs in the hundreds of thousands…when probably an equal number of private sector workers will lose their jobs due to the knock-on effects of scaling back the public sector… how can the students justify not taking their share of the pain? Having to pay 2 or even 3 times as much for your degree is relatively small beer compared to losing your job and your house. Some sense of proportion needs to be applied here. Look beyond the political posturing and the student riots and there will be real heartbreak stories in virtually every 6th Form in England. As a part-time teacher, this term I’ve had Year 12s (16-17-year-olds) weeping inconsolably in front of me. They don’t think they’ll be going to university now due to the fees hike and they perceive their careers to be in ruins. Demotivated and with low self-efficacy – Albert Bandura’s term for the belief that they can make good use of their learning – the quality of their work is suffering. For some, even regular attendance at school is now becoming an issue. After all…what’s the point…? Bright kids, some of them undoubtedly university material, frittering away the chance to make the most of their opportunities. In the bitter war of words around the fees issue, the Coalition Government have only just started drawing attention to the £150M National Scholarship programme, under which students currently receiving free school meals will get substantial help with their fees – notably the first year paid for by the state. Universities minister David Willetts reckons this fund will assist around 18,000 students from poor backgrounds. Unfortunately, as with all such initiatives, those who just miss out on the eligibility criteria will be the hardest hit: low incomes but not low enough. Most of my inconsolable students would fit into that category. Part of the problem, of course, comes from the way university has been pushed at 6th Formers as the only real option when they leave school. That, in turn, has been driven by the previous Labour Government’s target of sending 50% of school leavers to university. Ignoring the repeated allegations that A-Levels have been dumbed down to facilitate achieving this target, statistics showing around about a fifth of undergraduates drop out because they can’t hack it and reports of employers no longer valuing degrees because they are becoming too common, teachers in many 6th Forms will tell you that achieving 50% as a national average was always going to require some fudge because 50% of school leavers are not university material. Nonetheless, the pressure on schools to achieve the 50% target has been considerable and many students have been conditioned accordingly to think university is the only worthwhile option. University as the only real option is, of course, a meme. When we get that meme into students’ heads, then that becomes a key operating schema. Which is why so many of them are now genuinely distressed by the proposed rise in fees. The new harsh financial reality the Coalition Government intends to implement requires some considerable accommodation in face of the university-is-the-only-option schema running in the heads of many students. 2 things immediately come to mind in how to resolve these apparent contradictions for students: I get encouraged to aspire to university but, if I go, I’ll be saddled with debt for a large part of my adult life…. Firstly, we have to change the university-is-the-only-option meme. It needs to be seen as just one option. There are other options – and they should be promoted as valuable to 6th Formers. To tell a personal story…I have 2 nephews by marriage. Both were expected – and, to some extent, pressured – (both by parents and teachers) to go to university. One did and didn’t like it, dropping out halfway through his first term. The other refused to go. Both are bright, clever and resilient but neither particularly enjoyed the discipline of academic study. They now work for a major corporation, have salaries equivalent to a first-year graduate, enjoy considerable responsibility and are considered potential middle-senior managers by their employer. University and academic study were not for them but they found their niche and discovered other ways to develop their talents. In a deliberate attempt to undermine the university-is-the-only-option meme, schools need to model such success stories and create the meme that there are good alternatives to university. Secondly, for those who really want to go to university and for whom it will make a substantial difference, we need to work on the schemas they have about how much more difficult it will be from now on. For that, we need to amplify the perceptions of benefits for those prepared to pay the costs – and we need to make sure the increased costs are presented realistically. ‘Urban myths’ about a lifetime of crippling debt need to be offset by realistic projections of likely earnings against debt repayments. And, yes, students and their parents do need to accept it’s a changed world and they will have to pay more if they go to university. That’s the way it is. It’s not fair. The new system will need refining to make sure it is more progressive – so that the low-but-not-low-enough incomes don’t miss out disproportionately on the opportunity to go. But the new system is just part of the pain we’re all going to be feeling in the coming months – and it’s only fair that students bear some of the pain too. The Lib Dems are known to be a principled lot. Let’s face it: if you want to be a career politician, then Labour or Conservatives have been the only options in England for the past 75+ years. Conviction politicians, for whom principle is more important than ambition, were the kind of people who ended up in the Lib Dems. No hope of ever being in government but the opportunity to stand up for what you believed. More often than not GREEN sensitivities of treating everyone fairly and equally, played out in BLUE’s do-the-right-thing motif. So betraying your principles to achieve power is pretty hard for the Lib Dem BLUE to swallow, especially when it means some people really do get treated unfairly. It’s hard for the MPs, councillors and activists and it’s hard for the millions of voters who regarded them as honourable. But what happens when the principles become outmoded and rendered impractical? The reality is that the past 2 years have taken the wind out of the Western economies’ sails. Just about every government in the Western world is undertaking some form of austerity measures and attempting to scale back their public sector. Clegg & Co’s wheeze of signing up to resist any attempt to increase tuition fees belonged in the previous era – the pre-recession, pre-financial crisis era. Increased tuition fees are part of the new world. To be sure, this first attempt needs some refinement; but ‘refinement’ is a relatively minor term in the scale of adjustments. Sizeable tuition fees are here to stay. The Lib Dem MPs have a decision to make. Do they want to go back to the ‘wilderness’, shouting a lot of principles but making very little real difference to people’s lives…? Or do they want to play a central role in government at a time of national and international crisis and succeed in getting some key Lib Dem policies onto the statute book…? The announcement that Simon Hughes is to be the special advocate for access to education for young people may indicate a flash of 2nd Tier thinking somewhere in the murky depths of the Coalition Government…and it may be the lever for the Lib Dems getting themselves off the ‘torture rack’. Hughes has successfully portrayed himself as a man of principle and integrity throughout his parliamentary career and he did this again in abstaining in the vote on tuition fees. However, in the bitterness amongst Lib Dem MPS in the wake of the vote, as deputy leader, he made strong calls for party unity. Thus, he has maintained his status as not part of the Government but passionate about Lib Dems. That his new position as special advocate is both unpaid and only temporary (6 months) will enable him to retain this status. The recovery of the Lib Dems probably began with the Daily Telegraph undercover stings in which they recorded Vince Cable and other Lib Dems in the Government being unpleasant about their Tory colleagues. While it undoubtedly enraged some of the Tories and did make those Lib Dems concerned look a little amateurish, it did at least show they were not acquiescent Tory poodles! There’s Ed Milliband’s ORANGE opportunism appealing to disillusioned Lib Dems to take part in Labour’s policy review while Simon Hughes appeals to their BLUE and PURPLE to stay with the Party and ‘do the right thing’. Meanwhile Tory rebel David Davies, who voted against the tuition fees proposal, is banging on about Tory backbenchers being dissatisfied that they were ‘whipped’ into voting for the Government while the Lib Dem MPS were allowed to do as they liked…! Personally, I think the student riots are just the start. When those cuts really start to bite and people are losing their jobs and their homes…! Maybe, it would be better to say these are going to be ‘hairy times’! Good stuff Keith. But will the Lib Dems get off the torture rack? Time will tell. But i agree that we are indeed in new times. Personally, i struggle to understand how principled powerlessness does anyone any good. The coalition has tempered both parties policies. And for me, it is all about changing the voting system. If that were to happen, even at the expense of having to take 8, 12 or even a few more years building up the Lib Dem vote again then it will have been worth it. British politics will have changed. I cannot accept that increased tuition fees are here to stay as part of the “new world”. They are part of a world of governments of the rich for the rich. There’s nothing GREEN about this coalition. It’s driven by ORANGE, self interest for their class. Simply forcing the capitalist to cough up their tax is estimated to wipe out the national balance of payments deficit at a stroke, but instead they promote “shopping a scrounger”; chasing after the poorest people whilst the richest buy another Ferrari. This coalition doesn’t get YELLOW any more than any other Western government. The Lib Dems are doomed to electoral extinction now and will pay dearly for their little piece of the action. The saddest thing of all is that we have another ORANGE contender waiting in the in wings (Ed “it’s our Big Society’ Miliband). Doesn’t matter who you vote for. The government always get in. thanks Keith. As usual a helpful analysis.